The upper house of the Swiss parliament on Wednesday voted to invalidate its 1992 application to join the European Union, backing an earlier decision by the lower house. 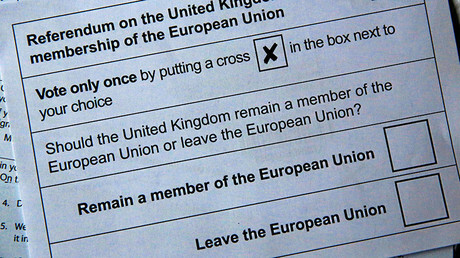 The vote comes just a week before Britain decides whether to leave the EU in a referendum. Twenty-seven members of the upper house, the Council of States, voted to cancel Switzerland’s longstanding EU application, versus just 13 senators against. Two abstained. In the aftermath of the vote, Switzerland will give formal notice to the EU to consider its application withdrawn, the country’s foreign minister, Didier Burkhalter, was quoted as saying by Neue Zürcher Zeitung. The original motion was introduced by the conservative Swiss People’s Party MP, Lukas Reimann. It had already received overwhelming support from legislators in the lower house of parliament in March, with 126 National Council deputies voting in favor, and 46 against. Thomas Minder, counsellor for the state of Schaffhausen and an active promoter of the concept of “Swissness,” said he was eager to “close the topic fast and painlessly” as only “a few lunatics” may want to join the EU now, he told the newspaper. Hannes Germann, also representing Schaffhausen, highlighted the symbolic importance of the vote, comparing it to Iceland’s decision to drop its membership bid in 2015. “Iceland had the courage and withdrew the application for membership, so no volcano erupted,” he said, jokingly. 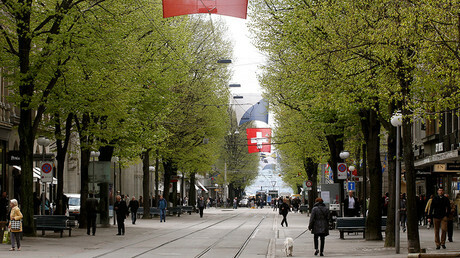 Switzerland’s longstanding application to join the EU has not had a significant impact on the country’s politics for more than 20 years, as its accession negotiations have been suspended since 1992 in the wake of a referendum to join the European Economic Area, when the Swiss voted down the idea of closer ties with the EU. Some politicians even argued that the vote was an unnecessary formal procedure that didn’t make much sense as Switzerland is no longer regarded by the EU as an official candidate to join the bloc. 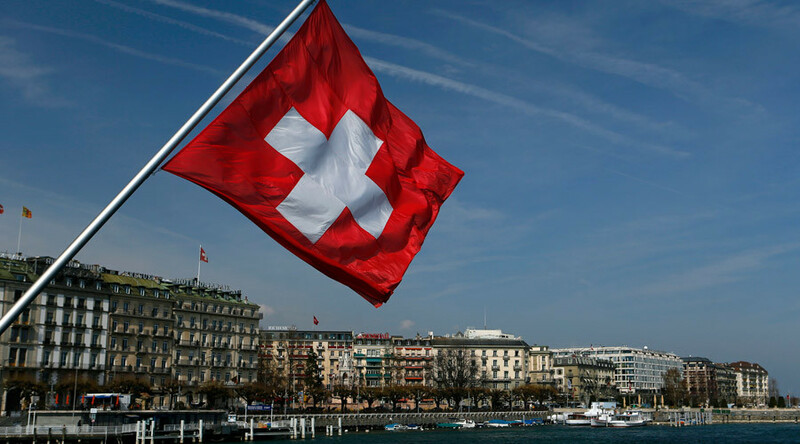 Filippo Lombardi, from the Christian Democratic People’s Party, said that it was “not very clever to discuss it once again,” calling the debate about Switzerland’s accession at this stage “a bit ridiculous,” Neue Zürcher Zeitung reported. Switzerland, never a member of EU, shares free trade with the union and free movement of people as part of the Schengen zone. The timing of Switzerland’s reassurance of its sovereignty and independence from the EU institutions, if accidental, may come in handy for campaigners in the UK advocating a British exit from the EU. Polls show the UK’s referendum on EU membership, to be held in a week on June 23, as being extremely close, with Leave slightly in the lead. — RT UK (@RTUKnews) 15 июня 2016 г.